With Overwatch League set to begin in earnest this week, Blizzard want to make sure you don’t miss a second of the action. 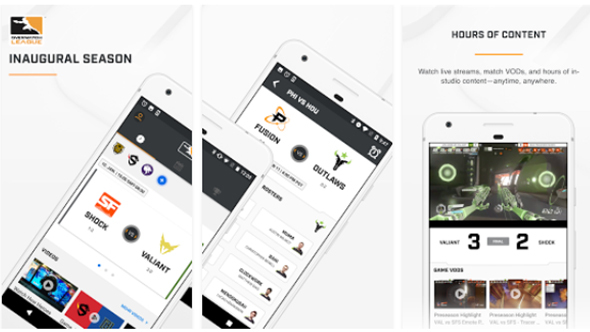 To that end, they’ve released an Overwatch League app so you can watch games and track your favorite teams through the comfort of your favorite mobile device. Check out our guide to Overwatch League. The app will give you access to news stories, interviews, team profiles, and game analysis, as well as standings, stats, rosters, schedules, and team-specific information. You’ll also be able to tune into live games or watch on-demand videos after the broadcast. You can set alerts for specific matches so that you receive push notifications when those events begin. Most of these features are already available on the Overwatch League website, but it’s good to have them in more places. The app’s available on iOS and Android, and it supports twelve languages. Overwatch League kicks off on January 10 with a match between the San Francisco Shock and the Los Angeles Valiant, and opening night seats are already sold out. You’ll be able to watch the games live on both the app and website, but we’re still waiting to find out if OWL will be streamed on Twitch.